The Mara­thon Des Sables is a world fam­ous, per­haps the most fam­ous, multi-stage ultramara­thon, cross­ing the Saha­ra Desert in Morocco. The rules require you to be fully self-suf­fi­cient. For the race entry you get a spot in a tent to sleep in each night and that is it! Everything else that you need to sur­vive the entire week must be car­ried with you on your back. Now, in its 34th year, the event has been described as the “toughest footrace” on earth and has entered the buck­et lists of many run­ners, adven­tur­ers and explorers the world over. An undoubt­ably amaz­ing exper­i­ence, here we ask wheth­er it is the be all and end all of multi-stage run­ning and wheth­er instead an Ultra X might be the thing for you. 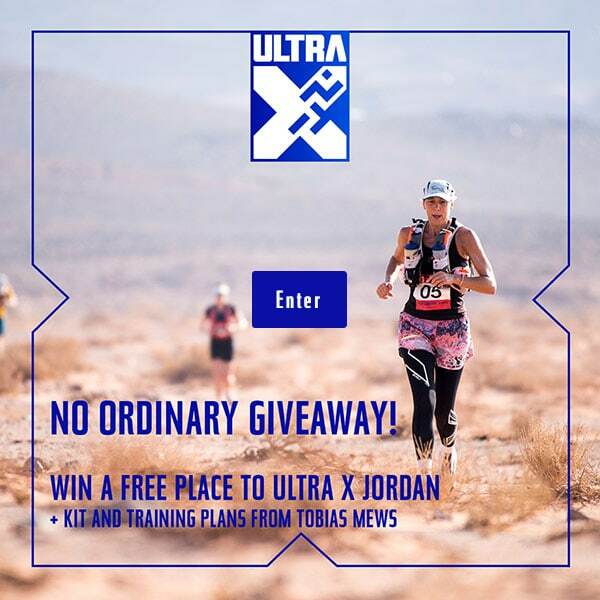 So why would you do an Ultra X? 1) The Price: In 2018 the Mara­thon Des Sables cost £4,250 per per­son, add in the cost of all your equip­ment and man­dat­ory kit and you are look­ing at hav­ing to take out a small mort­gage to par­ti­cip­ate in the event. Our pas­sion is mak­ing multi-day racing more access­ible and as such for £4,250 you could com­pete in Ultra X Sri Lanka, Jordan and Mex­ico in 2019 and have a little cash left over! 2) It’s for the first timer: More than 50% of Ultra X Jordan fin­ish­ers had nev­er even fin­ished a mara­thon before! Sim­il­arly, many will do the Mara­thon Des Sables as first time ultrar­unners, enticed by an event that is recog­nized glob­ally in an industry that is still pretty niche. As easy as it is to say that a multi-stage race is a “one-off” we find that once com­pet­it­ors have the bug it is dif­fi­cult to shake, so why not start with some­thing that doesn’t require such expense and extens­ive plan­ning and see how you find it? Who knows you might still fancy the MDS after all and what bet­ter prep than a multi-stage race where you don’t have to carry all your kit first. 3) Run­ner Care: The Mara­thon Des Sables is famed for its doc­tro­t­ters, and the immacu­late white tent where com­pet­it­ors are able to lie down to have their blisters treated is indeed incred­ible and some­thing to look for­ward to after the sand has taken its toll. How­ever, where the MDS has Doc Trot­ters, Ultra X has Just One Body; an expert team of sports mas­sage trained osteo­paths at check­points and the fin­ish line each day. We aim to have one osteo for every ten run­ners and most com­pet­it­ors will get over an hour or more of per­son­al treat­ment over the week! Of course, we also have a team of doc­tors on site to cov­er any foot troubles aswell! 4) The Food: The Mara­thon Des Sables is a mis­sion to sur­vive. Com­pet­it­ors must carry all of their own food and equip­ment for the week at all times. If you get smart this can be taken down to around 7kg, but it means that the focus is taken away from the run­ning, as par­ti­cipants have to be shrewd with equip­ment and need to think about things like cal­or­ies per gram. Not only is buy­ing light gear expens­ive, it also means that the cal­or­ie defi­cit which your body is inev­it­ably going to enter dur­ing the race can be crip­pling. At Ultra X events par­ti­cipants do not have to carry all their gear with them dur­ing the event. Instead the organ­izers trans­fer their main bag in between camp for them. This means more food, equip­ment and a few lux­ur­ies become pos­sible! 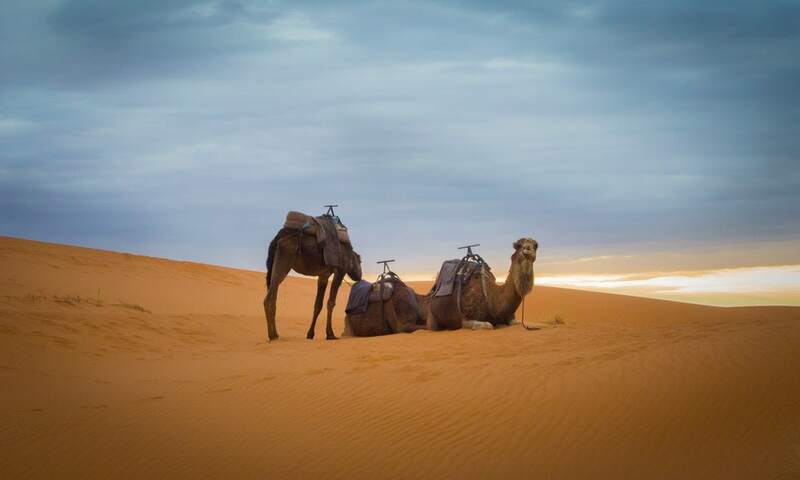 5) Hol­i­day: The Mara­thon Des Sables is a 6 stage race, only 5 of these stages actu­ally count towards the final res­ult as one is a char­ity Stage. Com­pet­it­ors have 2 days to com­plete the “long stage” mean­ing that those who are quick­er will have a rest day in the middle. Com­pet­it­ors arrive in the desert on Fri­day, race from Sunday to Sat­urday and then are invited to the Prize Giv­ing on Sunday night. This means that for those who are brave enough to head back into work straight away after return­ing from the race will have to take an abso­lute min­im­um of 7 days hol­i­day. We under­stand how pre­cious those days can be and as such an Ultra X requires no more than 5 days hol­i­day. This format is con­sist­ent through­out all Ultra X events, mean­ing that com­pet­it­ors will always fly in on a Sat­urday, have brief­ings and trans­fer to the start line on Sunday, race Monday to Fri­day and be home by Sunday even­ing! The Mara­thon Des Sables is a truly epic and icon­ic footrace and we at Ultra X are huge fans, one of our co-founders has actu­ally done the event and would recom­mend it to any­one. How­ever, it is not the only multi-stage ultra out there so why not shop around before enter­ing the grand­daddy of them all!